I'm an author and environmental campaigner. One of my passions is ending the illegal persecution of a wonderful bird called the Hen Harrier. Our legal challenge will be held on 5 and 6 December in the High Court. You could come along and listen to the legal arguments. I'm one of a group of like-minded campaigners seeking a better deal for threatened wildlife. We need your support to challenge the government to do more, and do the right things, for a persecuted bird, the Hen Harrier. 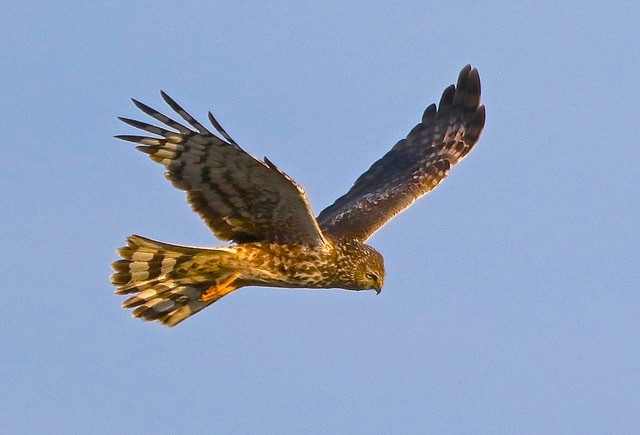 Hen Harriers are wonderful birds which are in danger of disappearing from England. The reason is simple: illegal persecution on grouse moors (because they eat Red Grouse that people want to shoot for fun). Cracking down on this wildlife crime is the key to giving the Hen Harrier a better future, but the Westminster government is doing far too little about that. Instead of tackling the key issue of criminality, Michael Gove's Department for the Environment (DEFRA) has proposed something called 'brood management' which involves removing chicks from nests near grouse moors. That might help grouse moor owners but it won't help Hen Harriers. See this article in The Guardian, and this blog for more details. It's a bizarre proposal and I believe it is illegal because alternative sensible and effective actions are available. So I'm initiating a judicial review of Natural England's decision to issue a licence enabling brood management to go ahead. Persecuted wildlife can't hire lawyers so we must do it for them and I've got some great lawyers together to fight for the Hen Harrier - they are really keen to get justice for this bird (and have been captivated by this video of the male Hen Harrier's skydancing display). But I need your help to pay the court costs, the costs if we lose (nothing is certain) and at least some of our lawyers' costs (they have kindly agreed to work at heavily discounted rates). The first stage is to raise £5000 to start the process rolling but we need to raise another £20,000 to see this through to the end. Please help start things off by donating today - right now please, if you can. Hen Harriers need justice - you can help them get it. I'll give regular updates on how things are going - here and on my blog Standing up for Nature. If we raise more money than is needed, the additional funds will be held for up to a year and spent on other legal work to benefit Hen Harriers or other environmental causes. Thank you. Hen Harriers will have their day in court! The Hon Mrs Justice Lambert DBE has granted us leave to appeal - which means that one day, as yet unknown, probably later this autumn, we will have our day in court. Natural England will have to try to persuade a judge that their decision to agree to issue a licence for brood meddling of Hen Harriers was legal. 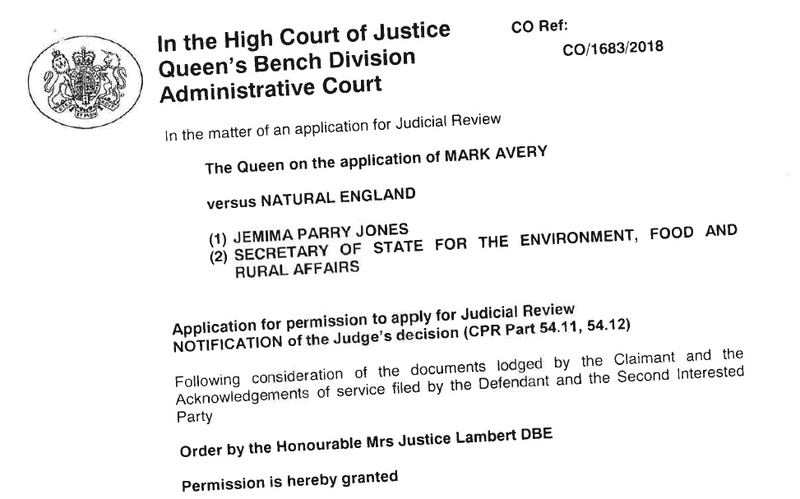 Hen Harriers will have their day in court! We should learn soon the date - I'll let you know when it is when I know. Thank you for your support - you made this happen. What happens next depends a bit on the legal system and a bit on the birds! I'm finding that this legal business consists of bursts of frantic activity punctuated by long periods of waiting for something to happen. We are currently in a 'waiting for something to happen' phase. The most likely timing of our day in court is in the autumn term - from October onwards - because barristers and judges tend to have long summer holidays! But if there are enough Hen Harriers nesting close to each other on grouse moors in northern England (and I believe there may be) then the licence may be activated and we will have a week to argue that no brood management should take place until our case is heard. 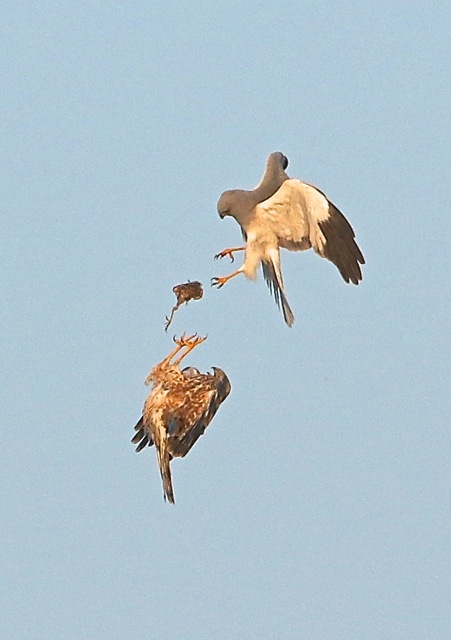 I'll let you know more when I know more, but here is a marvellous photograph of a Hen Harrier food pass (by Gordon Yates). The male (grey upper bird) has brought in some food to the nest for the female (below) and she comes off the nest and the prey is exchanged in a flash in this balletic manoeuvre. Marvellous aren't they? The final papers for our legal challenge have to be in today, and so our legal team (and I) have been working hard over the weekend to get things finalised. And there is a piece by Patrick Barkham in today's Guardian about our case - thank you for making it possible. I expect to be able to give more updates over the next few days as we have now finalised our case. This is a short update. It's short because a detailed update would be very long indeed. Late last week we received NE's (delayed) response to our pre-action protocol letter. Their response contained nothing particularly surprising. Since then the emails have been winging their way between myself and our lawyers to clarify facts. Yesterday, I met with our fantastic legal team to discuss our next steps. There will be next steps - watch this space! Thank you for your support - we're all working hard on this case. We did it - together! Over 900 of us have raised the money needed to mount our judicial review against Natural England. And it took four and a half days. You are amazing! The speed with which the total was reached just shows how strongly people feel about this issue. We are doing our bit to get #justice4henharriers. Thank you - that's all I can say. THANK YOU!